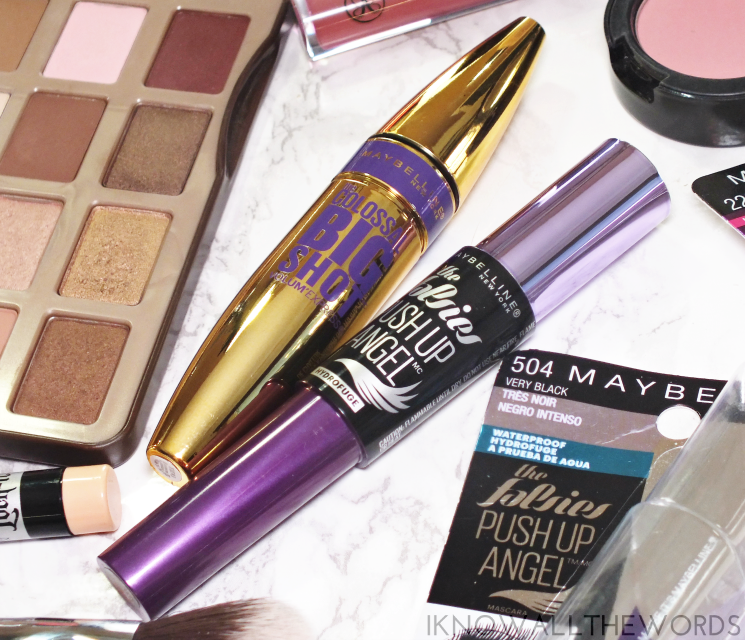 I've been putting two new Maybelline mascaras to the test: The Falsies Push Up Angel and The Colossal Big Shot Mascara. Same brand, $1 price difference, but totally different results. As I mentioned, Maybelline is always releasing a new mascara. After a while one can't help but wonder if there really is a difference between this one and that one. I can't speak for the others, but these both offer different results for your lash needs. 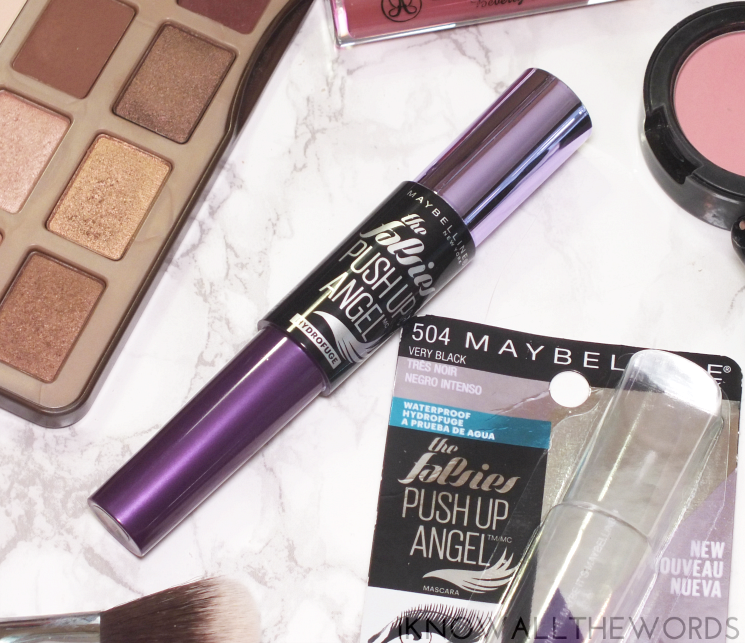 As Maybelline likes to do, they've added a new member to their The Falsies family with Push Up Angel. The Falsies Push Up Angel is meant to mimic the look of false lashes while pushing lashes up and out for a winged effect. Do this mascara really look like falsies? No, but you knew that. It does look pretty great though and does give lift. 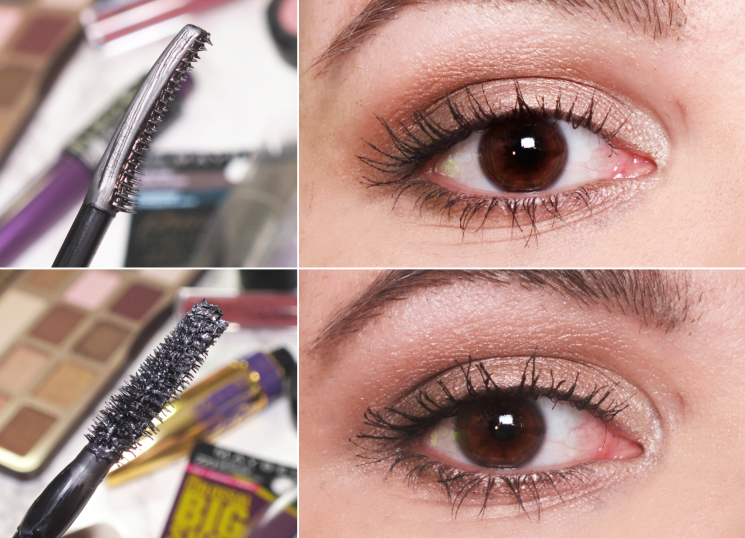 The mascara has a thin comb-like brush that works to push lashes up and, I think, distribute a thin coating of product to keep lashes lightweight. Because the brush is so slim, I do find it takes a few moments longer to coat every lash, but the effect is worth it (see it below.) Now, I have been using the waterproof version, which will inherently hold a curl better than a washable formula, but the overall effect is as advertised. 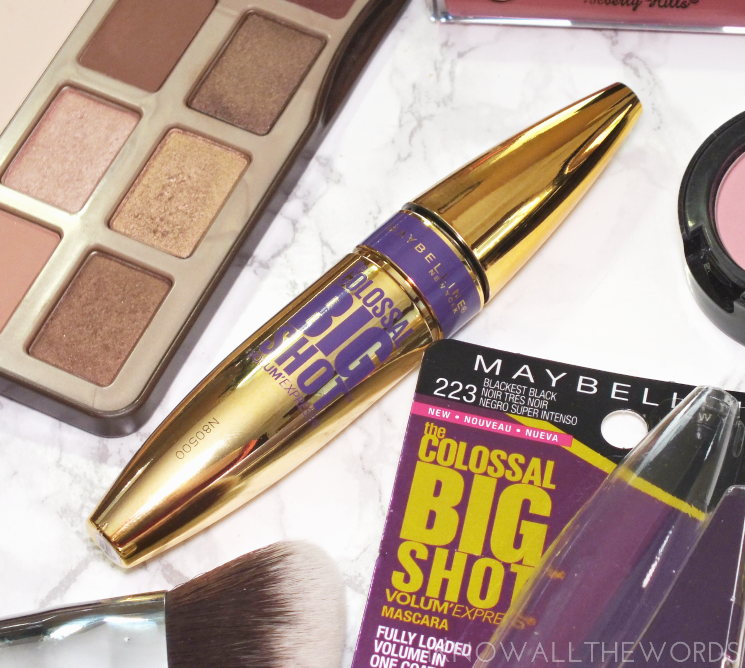 If you're looking for big lashes, fast, The Colossal Big Shot might be your new holy grail. The mascara is designed to give full volume in one coat with a collagen boosted formula and unique wavy brush to cradle lashes. I expected a massive, oversized brush, but it's full decent and not over the top big. 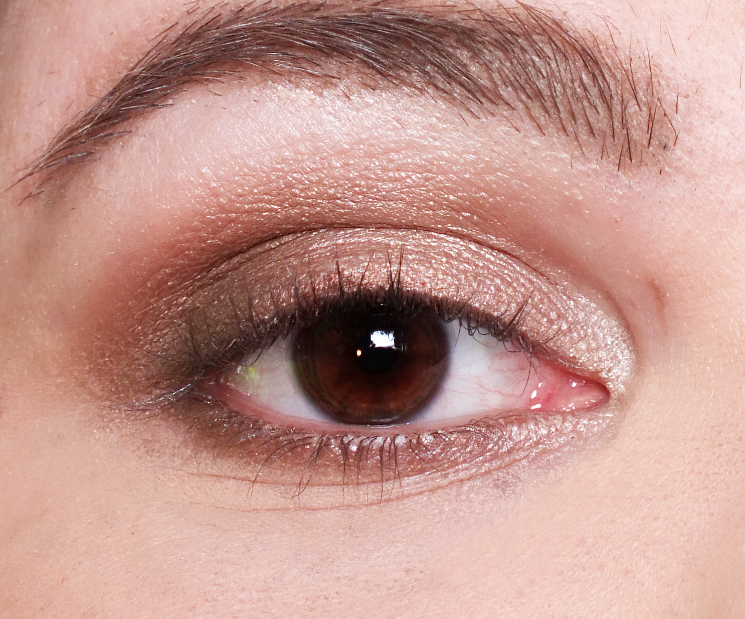 It does hold a lot of product and coats lashes very well, but doesn't seem to be overly heavy and weigh lashes down. I found I was still drawn to two coats, but was very pleased with the amount of volume and length it gave. My only wish would have been more curl holding capabilities. So, which Maybelline option is worth the space in your makeup bag? Both. Both are pretty great, so it really comes down to personal preferences. If curl isn't a need, and you love a volume boosted look, go Big Shot. If you're like me and need more curl and lift, Push Up Angel is pretty much perfection. 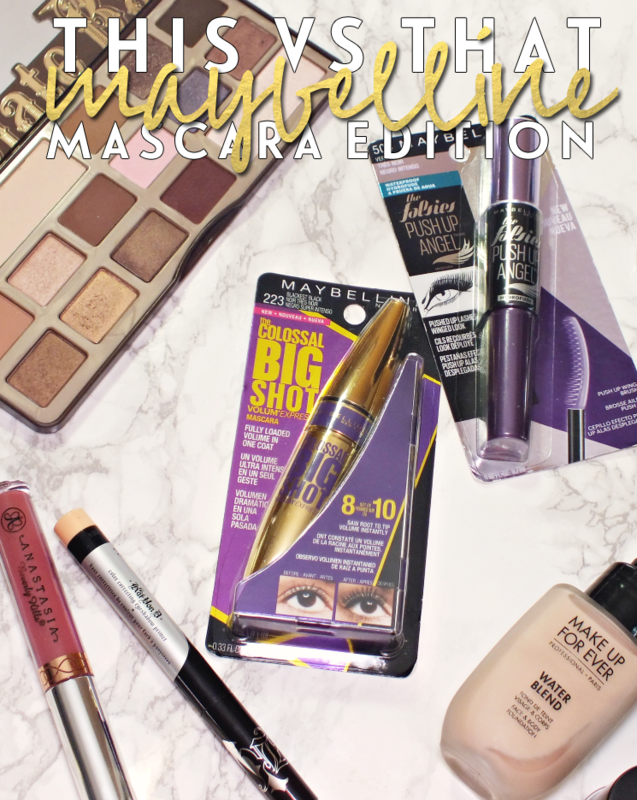 What do you look for in a mascara? Need either of these in your life?